IV. How did Morsi correct his violation to oath and to pre-election promises to the Egyptians? Morsi could enjoy spoken killing fatwas against his opponents from many Imam’s including Mazhar shahien, known as Imam of El Tahrir square. It worth noting that Mazhar Shaien participated on the mass protest against Morsi dictatorship in 30/06/13. In his first speech at the El Tharir square after the presidential elections Morsi promised the release of Sheik Omar Abd Elrahman who has been jailed in USA after he has been found convicted in after the 1993 World Trade Center attack and commitment to a plan to some New York City Landmarks bombing. Morsi also established a second hidden line of defense based on thousand of militants that have been released by presidential pardon despite their crimes. In the meantime, hundreds of revolutionary activists were still kept in prison. Others were taken in prison for insulting the president Morsi for blasphemy. 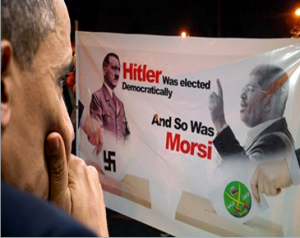 This included killers former President Anwar Sadat, murderers of police officers, tourists, Christians…etc. In addition Morsi gave pardon to the murderer of the writer Farag Fouda who was killed after he was accused because of his articles to be Islam apostate. 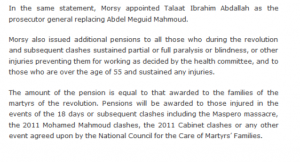 Morsi went so far to appoint these militants as members of the National Egyptian Organization for Human Rights and as honor member in the Senate (Shura). Even one of the militants of Jama Islamia that has been accused for Luxor massacre in 1997 was appointed as a governor for Luxor itself. The doors of Egypt were also kept open to welcome thousands of militants returning home from worldwide. The Muslim cleric Wagdy Ghoneem, a Muslim brother known with daily hate messages against non-Muslims and strong supporter of female circumcision was also among those who enjoyed presidency pardon. 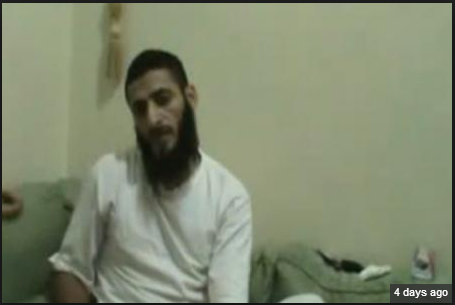 Ghoneem showed his gratefulness by speaking murder fatwas against Morsi protesters. Wagdy Ghoneem has also provoked in 2012 during his visit to Tunisia many angry reactions from women’s and human rights organizations because of his hate messages and support for female circumcision. Release of these militants has been associated with condemnation from families of the victims and even from the widow of president Anwar Sadat who watched the killers of her husband welcomed next to the president as guests of honors during the celebration of 6th of October war, the same day where these people killed her husband >30 years ago. Mohammed Alzawahry, brother of Al Qaeda leader Ayman Alzawahry, was also one of the terrorists who have been pardoned. He is Al Qaeda link with jihadists in Sinai that enjoyed mass. Jihadists in Sinai enjoyed mass smuggle of arms during the Libyan war. Although these jihadists blown up the gas pipeline to Israel running through Sinai about times 7 times during ruling of the military board (2011- June 2012), no single attack on this line was reported during ruling period of Morsi before being restarted again after the deposition of Morsi in July 2013 and was associated with crazy violence. The Muslim brother leader Mohammed El Beltagi confirmed the direct links with jihadists in Sinai by announcing that the attacks in Sinai will stop once Morsi is back to power. It is noteworthy that although the jihad groups did stop their attacks on the pipelines during the reign of Morsi, their terrorist attacks against Christians and security institutions were continuing. Christians were even obliged under threatening to leave Rafah. The assassination attack on the Egyptian army post during Ramadan in 2012 left 16 deadly victims among the Egyptian army. Involvement of Islamist fighters from Gaza with close tights with Hamas organization and involvement of a number of Egyptian Jihadists that were just pardoned by by Morsi were pointed out by the media. 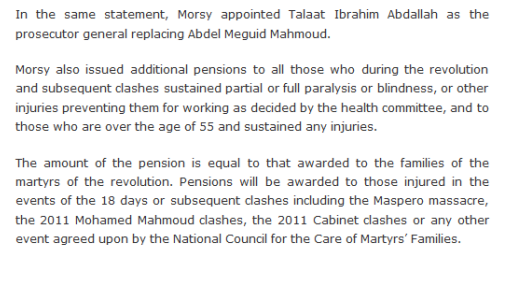 Morsi refused in a mysterious way to permit investigations into the motives of the perpetrators. The military cooperation between Muslim Brotherhood militias and Hamas provoked much concern. The militias of Muslim brothers were trained by Hamas. There is a lot of evidence regarding the involvement of Hamas with violence and mass destruction of police stations and security buildings during revolution of 2011. Hamas would have stood behind the armed assault on the prisons and the release of Muslim prisoners including Morsi himself. There is already running legal investigation in this regard . In many occasions Palestinians from Gaza were among those captured following violence or , terror attacks in Sinai. Seven out of 19 recently arrested in Sinai on 230813 accused of attacking police and army posts in North of Sinai were Palestinians. Palestinians from Gaza participate on regular bases in the Muslim brothers demonstrations in the different Egyptian provinces. The economic value of the illegal underground tunnels between Sinai and Gaza: Thousands of underground tunnels has been dug between Sinai and Gaza by the Hamas authorities. Many of them are huge enough to permit passage of trucks and are supplied with electricity. 1. Digging “illegal” tunnels is permitted after paying tax to the Hamas authorities. 2. These tunnels smuggle not only subsidized articles from Egypt like gasoline, food…But also stolen cars and weapons. 3. The tunnels are used for weapons transport from and back to Sinai. In addition Hamas militaries use these tunnels to perform their military goals in Egypt. In one of the documents we showed how the militias of Muslim brothers in Egypt are using these tunnels for transport while getting military training in Gaza. 4. Daily tax is demanded on every article smuggled through these tunnels. The sum of the daily tax exceeds 300 million pound as estimated by dr Samir Ghatas an expert in Palestinian issues. 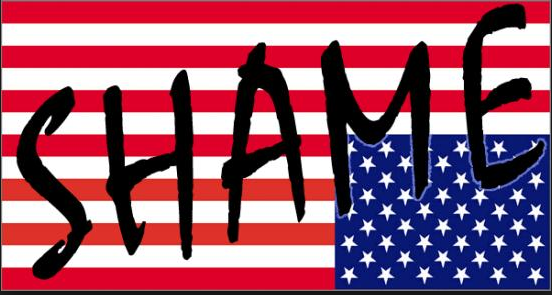 Shame on USA and shame on every american who will watch civilians getting killed and invaded by the US Military – Shame on every American who is supporting a Government financing and sponsoring Muslim Brotherhood terrorists Organization. Direct contacts have taken place between different USA administrations and Muslim brothers since 1986 according to Mrs Clinton and since 1983 according to wikileaks documents. Muslim brothers presented themselves as a suitable successors for the aging Mubarak regime based on their power and infiltration of the Egyptian society. 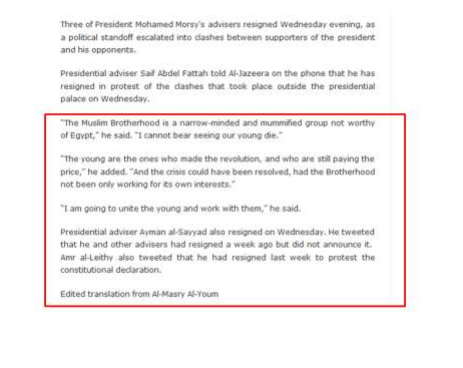 A lot of mystery surrounds the period of more than seven years Mohammed Morsi has spent in USA. 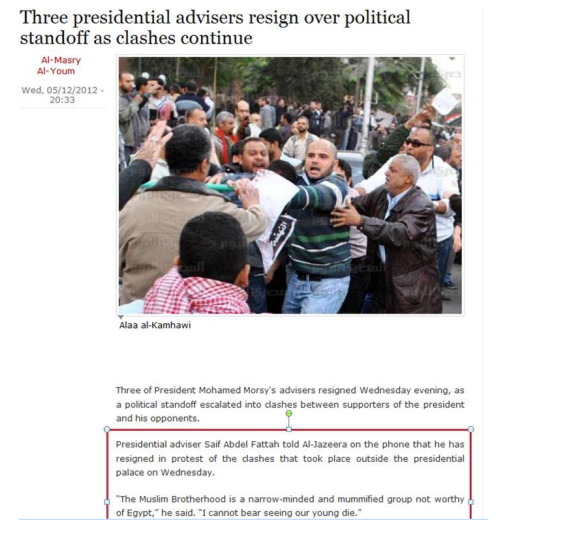 Morsi claimed first in an interview to have worked as one of the advisory staff for NASA. However he pulled back this claim in later interview after NASA itself denied any kind of partnership with him . 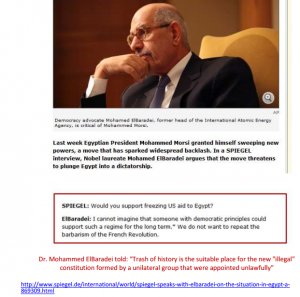 Some files were presented on TV showing Morsi’s name registered as a teaching professor in one of the American universities of engineering. Yet anybody who would have heard Morsi speaking English would immediately realize that Morsi’s level of spoken English is even not enough teach children at a kindergarten. Muslim brothers succeeded to steal the fruit basket of the so called Arabic spring in Tunisia, Libya and Egypt and were behind opposition in Syria. In view of the Iranian USA conflict a powerful Sunni alliance under leading of Erdogan and sponsorship of Qatar was strongly welcome . President Morsi was soon praised by the USA administration because of his seemingly pro-American foreign policy in the middle east. He will play for the USA an important role in forming Sunni spar against Shiites Iran/Syria.His statements during his visit to Iran and his hostile point of view to Assad regime followed the American footsteps. 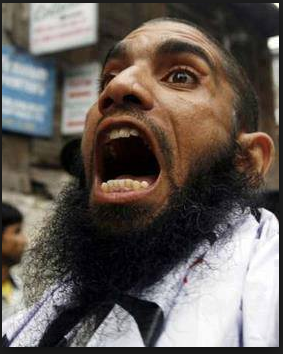 USA expected the Muslim-brothers to buffer jihad groups in the middle east and even worldwide. 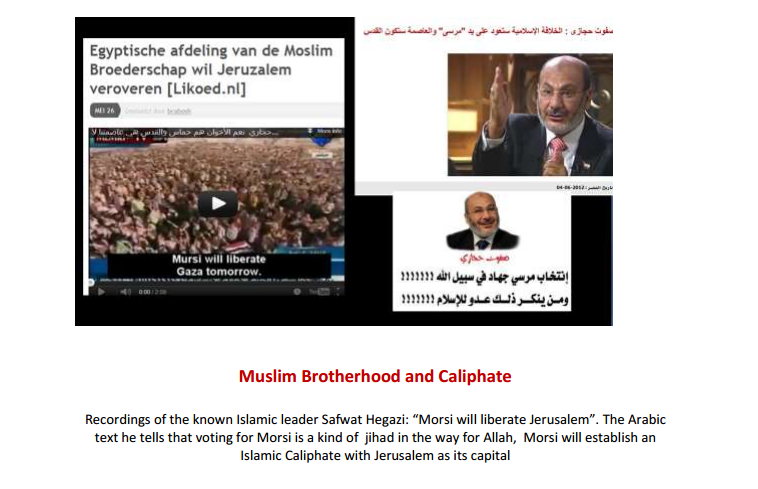 Morsi was also the suitable man to govern the behavior of Hamas , the Muslim-brother daughter in Gaza. He was therefore ready during the first conflict between Hamas and Israel to prove his control on Hamas. Morsi even agreed to accept settling Palestinians of Gaza down in the northern part of the Sinai. This has been for long time the dream of extreme right wings in Israel like Liberman, as were shown in one of wiki leaks documents. Some reports suggested that Obama’s administration has already paid a price of 8 billion dollar to the Muslim Brothers for this deal in Sinai. Such proposals were repeatedly rejected by ex-president Mubarak as it were considered a violation of the Egyptian sovereignty. Muslim brothers found no ideological problem in putting 40% of Sinai under the service of their brothers, the Muslim-brothers in Gaza. 1. President Morsi authorized the purchase of land areas in Sinai even in the region C . Region C is the area closest to the border with Gaza and Israel. According to the peace agreement signed between Egypt and Israel in the eighties a limited number of police personnel with basic and limited equipments were allowed in area C. For national security Mubarak refused selling lands in these areas. Owning lands in Sinai by foreigner was also forbidden. 2. Egyptian Nationality were given to more than ten thousands of Palestinians (well, some of them had Egyptian mother). Morsi went so far to give the Egyptian nationality to many of Hamas terrorists jailed in Israel. 3.The machine concerned with printing coded identity cards for Egyptians settling in Sinai was stolen. Some officials explained later on how this machine was transported to Gaza through the underground tunnels. This permitted the militias of Hamas to possess an Egyptian identity card. The western reader used during lasts year to get very often unilateral news items regarding developments in the Middle East. Aljazeera owned by the gas state Qatar that possesses the largest USA American base in the far east has been main source of Middle East reports during last decennia . Aljazeera also provides international news agents like CNN with self produced documentaries. You should remember the role that CNN has played during George Bush the father in convincing the whole world about the possession of Saddam Hossein of weapons of mass destruction in order to legalize the American invasion of Iraq . Up to this moment nobody has ever found weapons of mass destruction in Iraq. 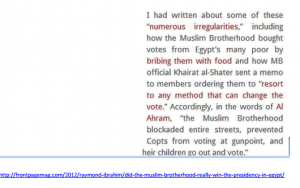 The Muslim brotherhood is an international organization with a well organized propaganda machine. 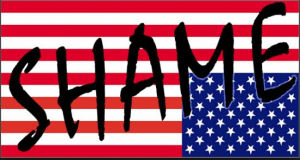 Many of its members who have been living in USA and Europe for decades are well trained to sell sugar coated Muslim-brotherhood ideology to the west. To unmask them and before labeling them as democratic, you should listen to them in the Arabic media and watch their deeds in reality. 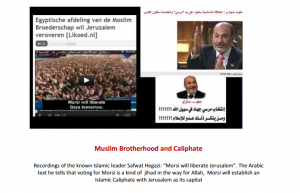 Muslim Brotherhood cleric : Jerusalem to become Egypt’s Capital under Morsi’s rule. 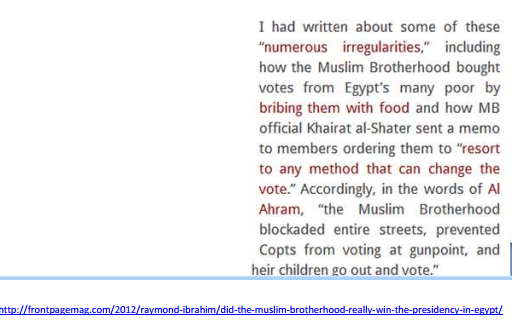 Did Muslim Brotherhood really win the presidency In Egypt? 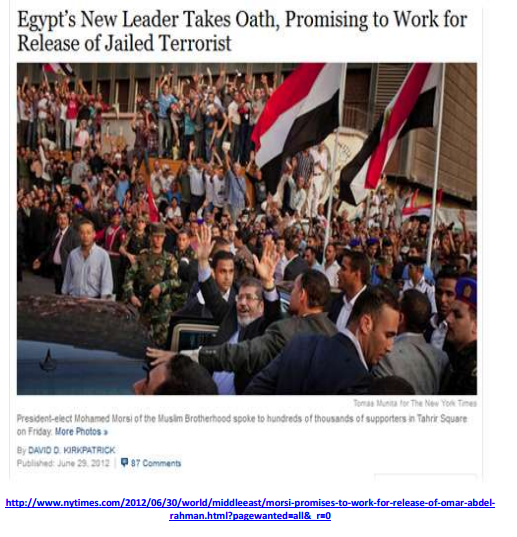 Mohamed Morsi works on releasing terrorists who killed Tourists, Egyptians, military and police individuals in the 80’s, 90’s from Jail by the power of presidency general Pardon! Making use of the terrorist attack by Islamic jihadists on the Egyptian army post in the Sinai that left 15 fatalities during Islamic month Ramadan 2012, Morsi dismissed both the chief of the secret service as well as the leader of the Republican Guard. Shortly thereafter, the chairman of the military council, Field Marshal Tantawi, General Sami Anan and 3 top military leaders were pushed aside. General El Sisi was appointed as army chief. 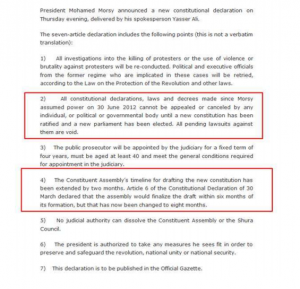 These steps were followed a juridical coup manifested as an illegal dictatorial constitution statement through which Morsi gave himself both legislative and executive powers. 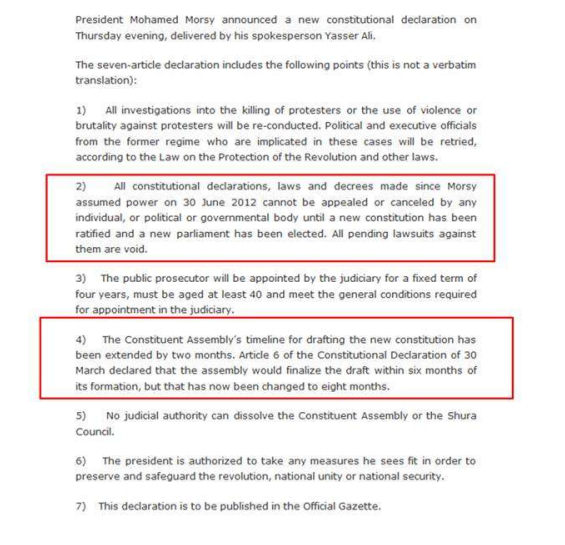 He went further and in a subsequent constitutional declaration, Morsi immunized his declarations and the consequences of it from any form of legal supervision or prosecution. The judges of the supreme court were then terrorized by President Morsi and his Muslim Brothers. For the first time in the history of Egypt The supreme courthouse was surrounded during weeks by Muslim brothers supporters to prevent judges from performing their tasks; Supporters of the Muslim Brotherhood also called death slogans against the judges. Safwat Hegazi spoke to journalists “If Morsi gives us a sign, we will then bring him these judges within cement blocks= dead”. The judges announced receiving death threatening. Dr Ala El Aswani, the well-known Egyptian writer, wrote on twitter “The president that permits his followers to block the law and prevent judges from performing their duties has lost its legitimacy. He will fail in politics, just like he has failed ethically “. 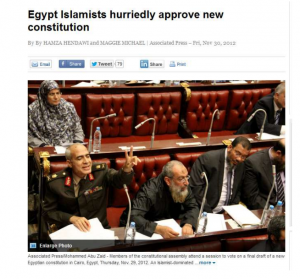 In the new Islamic constitution Morsi has limited the power of the Supreme Court. The Supreme court lost also its supervisory function on the law formulation. Instead it got only an advisory role. The members of the supreme court were reduced from 19 to 11 in order to get rid of the iron lady Judger Tahani El Gebali. Dr. Mohammed El Baradei, the Nobel Prize winner, wrote on twitter “Dr. 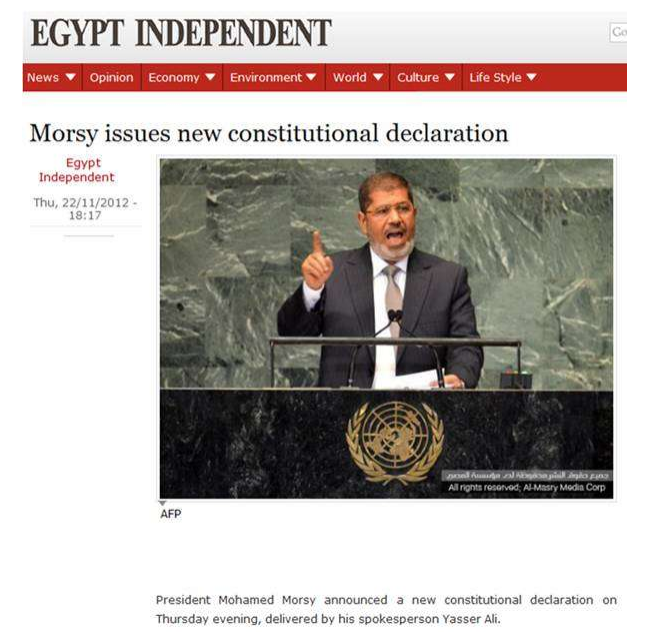 Morsi sets in motion a referendum on a constitution that the represses the rights and freedoms of the Egyptians. It is a miserable and sad day. It seems as if the revolution has never been…” The legal seizure of power Morsi happened under very suspicious and hypocritical tacit attitude of the USA and Europe. 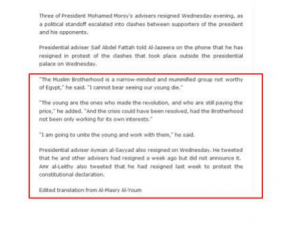 Mohamed Morsi appointed the Prosecutor General based on his loyalty to the Brotherhood Organization! According to the law and constitution, General Prosecutor must be appointed by the Constitutional Court and not by the president!!! That general prosecutor was closing all files which condemned Brotherhood crimes against Egyptians who were demonstrating against Brotherhood, and got killed or tortured or threatened. And was working hard only on moving those files for framing charges to demonstrators and political activists. President’s Counselors resigned over political standoff as clashes continue. Resigned Counselors said that the president never consulted them about anything! They were surprised about every declaration or decision made by the president because they only knew about all his decisions from the breaking news!!! Egypt Islamist hurriedly approved new constitution with the absence of the rest of civil and opposition parties, the only category which represented the whole community, was Islamist loyal to the Brotherhood only, there was no other representatives for different categories in the community: like women, Christians, liberal…etc. Constitution was made in 48 hours!! !